This morning on the way to the WITS office, I was thinking back on my experience as an intern. You know what, kid, I mused, you really have had a meaningful summer. The strings and horns in my personal triumphant orchestra built to a crescendo, and I took a glorious sip of coffee. As my tire ricocheted off of a bump in the road, a rainstorm of coffee violently splattered down my crisp, white t-shirt. The orchestra splintered. Expletive! Why! No! My mouth gaped in agony as Pavarotti bellowed Nessun Dorma in my mind. I yearned for the moment before when I had looked professional and chic. Now I just looked hilarious. The panicked inner monologue began: What do I do? Well, Katie, you did wear your favorite blue cardigan, just button it up and hide this travesty. They won’t be able to tell I’m hiding something? Don’t be a child. Couldn’t I clean the stain out with some soap and water? Don’t, just… I’m gonna do that…No! Just button up your…Ok, bye. When I walked into the office, I looked warily around. Jack’s office was empty, so was Jennifer’s, Kristina wasn’t there, no one in the back…it looked like I was alone for the moment. I rushed to the bathroom, and so the plot thickened. Now, my intentions were reasonable – just rub a little soap and water into the stains and then cover up the wet spots with the cardigan. That way, in case anyone suddenly decides to rip the buttons open…because that’s how wild and crazy a non-profit can get. Gotta be ready for anything. The alternative is that I’m crazy, and I should have just left it all alone. Unfortunately, I am and I didn’t. I turned the water on to a light drip and attempted a spot-clean. The stain was staying put, so I turned the handle a little more, and used another tiny squirt of soap. Before I knew it, my entire shirt was soaking wet. Those reasonable intentions failed. I put on the cardigan by itself to see if that looked alright. No cigar. Ok, NOW WHAT? That’s when things got really fun. With the cardigan still on (at least I’m smart enough not to go streaking at work) I took a brisk walk to the kitchen and proceeded to microwave my shirt. After a minute, the shirt was piping hot and, shockingly, damp as ever. Oven? No, Katie! So I finally listened to my smarter half and went back to the bathroom. Now I’m sitting at my desk in a damp t-shirt, hoping that no one will notice. Of course, now that I’ve written about it, everyone will notice, but at least I will have initiated the laugh. It’s interesting mornings like this that remind me that everything won’t always go according to plan, and that’s okay. This internship with WITS has been my first real job, not to discredit the breathtaking experience I gained at Taco Bell in high school. I have written a book, interviewed amazing individuals like Karl Killian (Director of Public Programs for the Menil Collection) and Robin Reagler (Executive Director of WITS), worked side-by-side with professional teachers and writers, and met children and young adults with enough imagination and talent to change the world. I became better acquainted with the amazing art culture of Houston – there are so many diverse perspectives and ideas enriching our city. I’ve been a teacher, a student, a writer, an artist, and a friend. I’m going to miss WITS tremendously, but I will take this experience with me wherever I go. I think I’ll take a Tide To-Go pen, too. 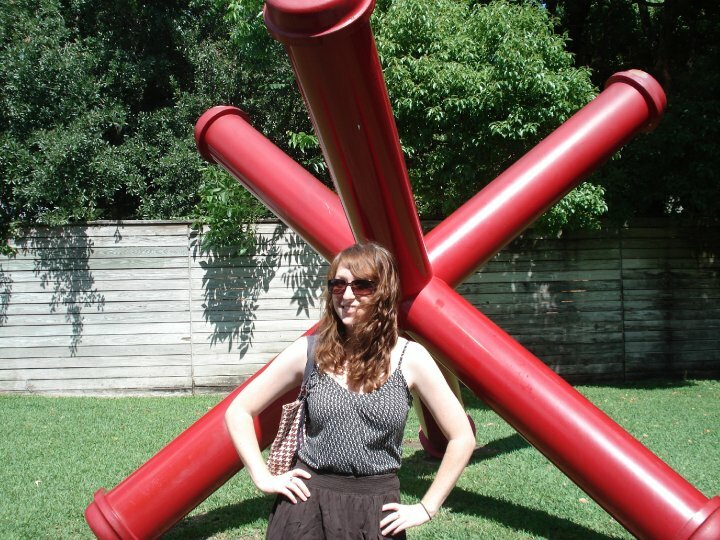 Katie Bailey is a Junior at Trinity University, majoring in English and interested in Art History. She will write for the Trinitonian as a Scene journalist this year. She also plays clarinet in the Trinity Wind Ensemble. WITS has inspired her to pursue a career in the arts, either as an English professor, a writer, or an art historian. Great post! Thanks, Katie, for all the wonderful work you’ve done. I absolutely cannot believe our 8 weeks are nearing their end. Thank you thank you thank you. 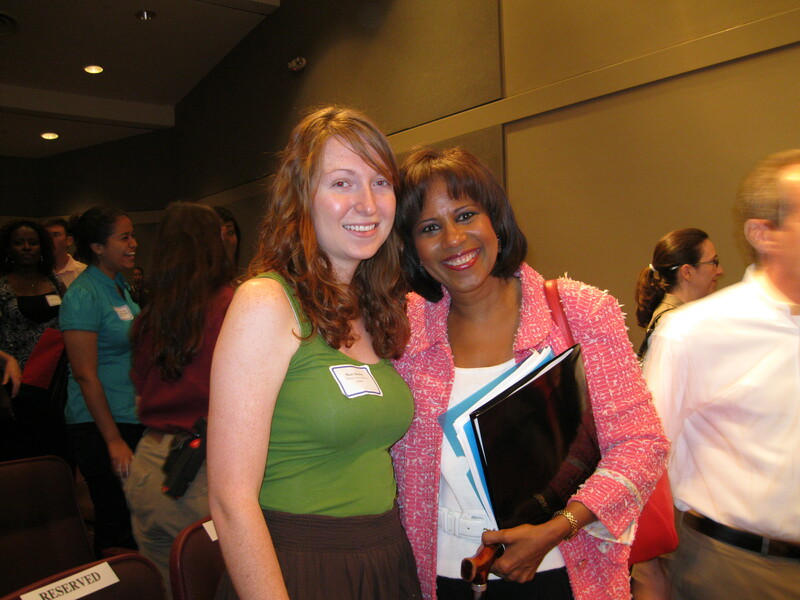 Katie made it so wonderful to work with her at the Creative Writing Workshops at Bellaire High School this summer. She was great and the experience was fabulous for campers, writers and interns all.